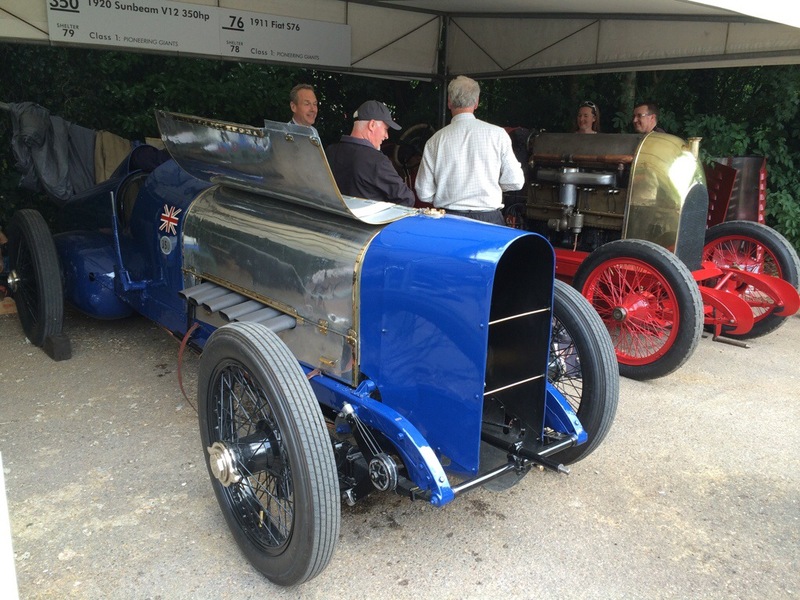 Some interesting new iron (aluminium, carbon fibre …) at the FoS this year. Highlights below. 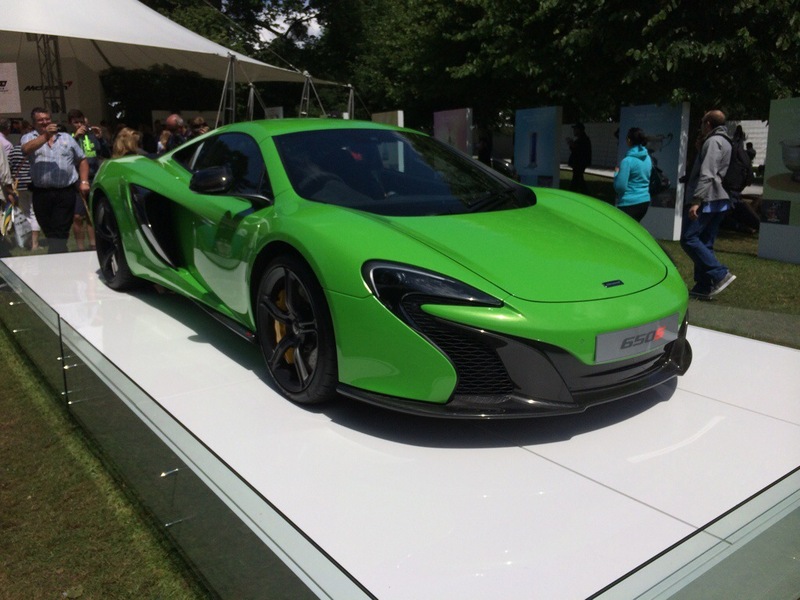 More “motor show” colours on the McLaren stand. Am I the only one who prefers the simple look of the MP4-12c nose to that on the new 650S nose? Must be as apparently there was so little continuing demand for the old car once the 650S was launched that they have now stopped making it. 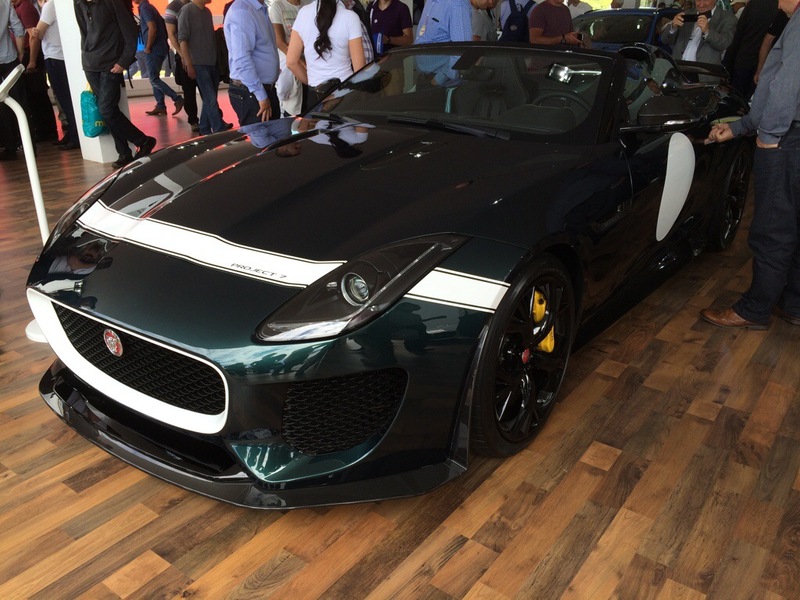 The Jaguar F Type Project 7 is an important car for Jaguar. Based on the slightly more extreme concept shown at last year’s FoS , the Project 7 is actually a production car – indeed the fastest production Jaguar ever. 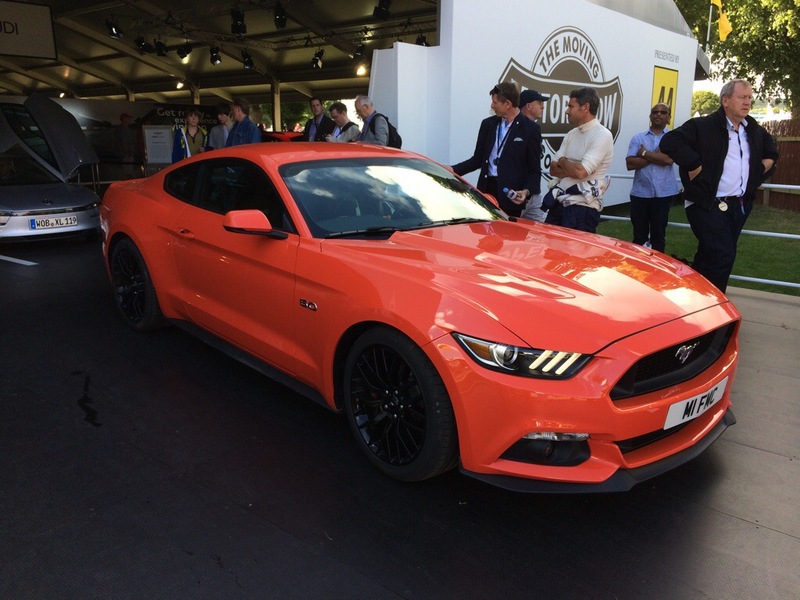 Its V8 is tuned up to 575 bhp – 25 more than the R Coupe. It also has bespoke aero, and trick suspension and diff with standard carbon ceramic brakes. The screen has a greater rake than the standard convertible and it has an D Type imitating faring behind the drivers role hoop. Inside it looks fairly standard and weather protection consists of a rather impractical clip on hood like the recent Boxster speedster. Its a striking car and they hope to sell 250, and only 60 in right hand drive. But what’s it for? Too comfortable and therefore heavy for a racer (and the rollover protection looks too scant) yet too uncomfortable for every day use. Is it therefore just for collectors and occasional track days? 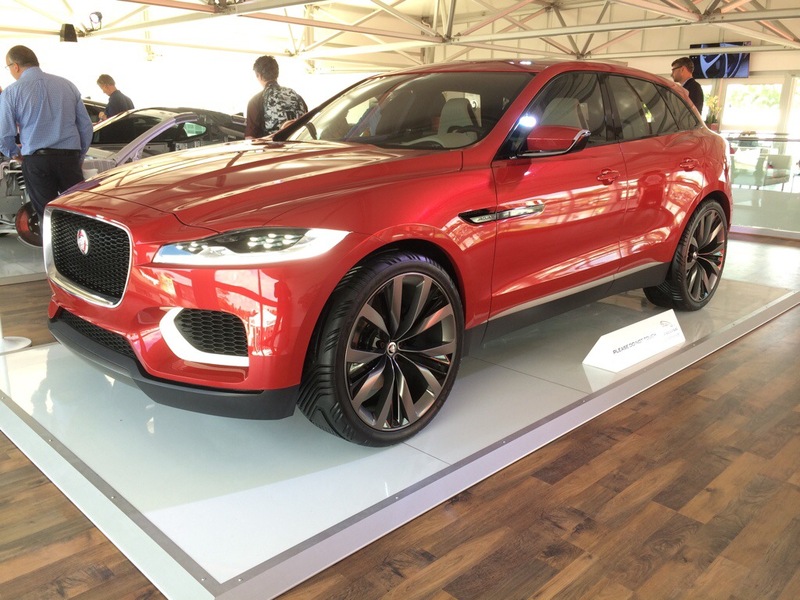 This stunning Jaguar SUV concept is far more likely to make JLR lots of money. Aimed at rivalling the Audi Q4, BMW X3 and especially the Porsche Macan it should perform well and in a different segment to current Land Rover products. I would certainly buy one. 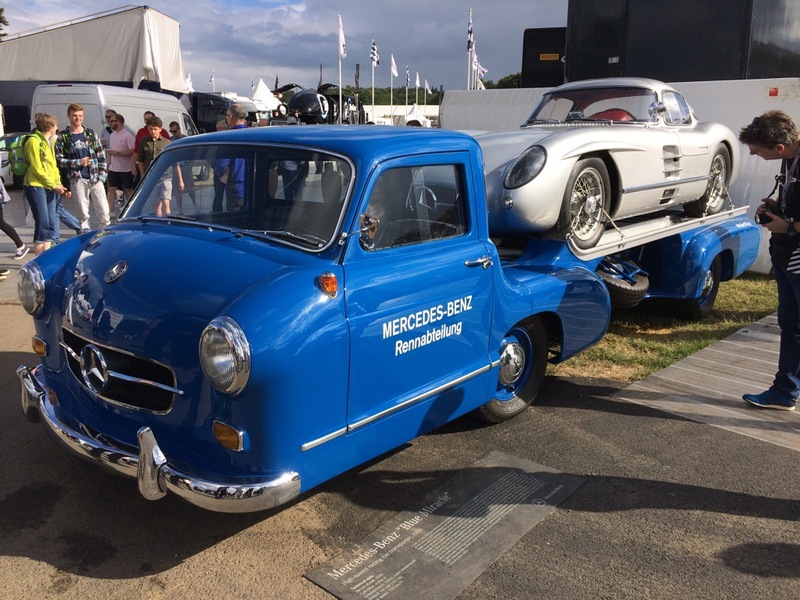 The bad news is that we are unlikely to see one for sale until 2018, with a hot version not to follow until 2019. 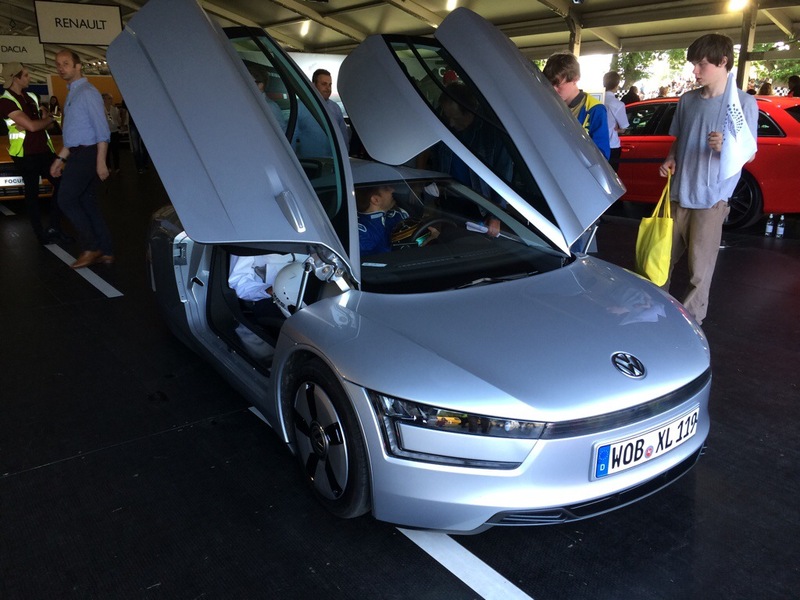 VW ran their diminutive XL electric car up the hill. It looks like the future for urban transport but is very very small and very very expensive. 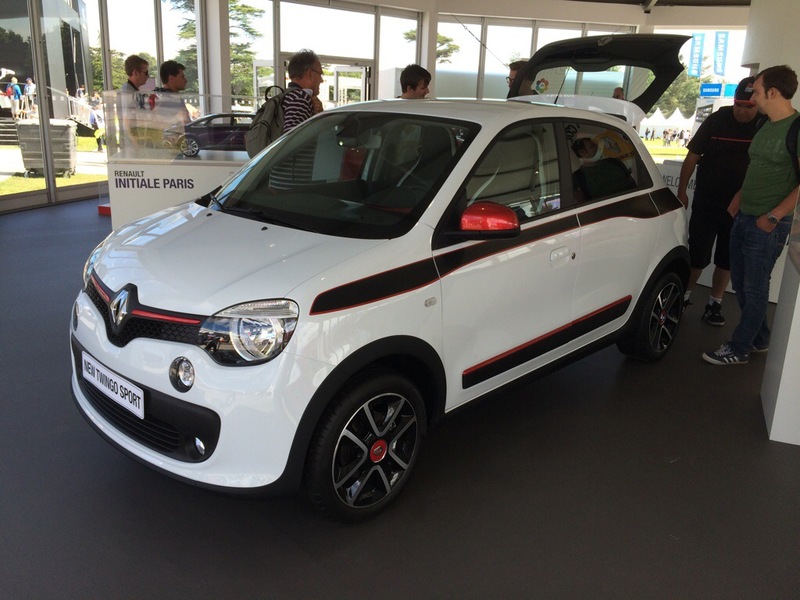 The new Renault Twingo Sport looks like great fun. 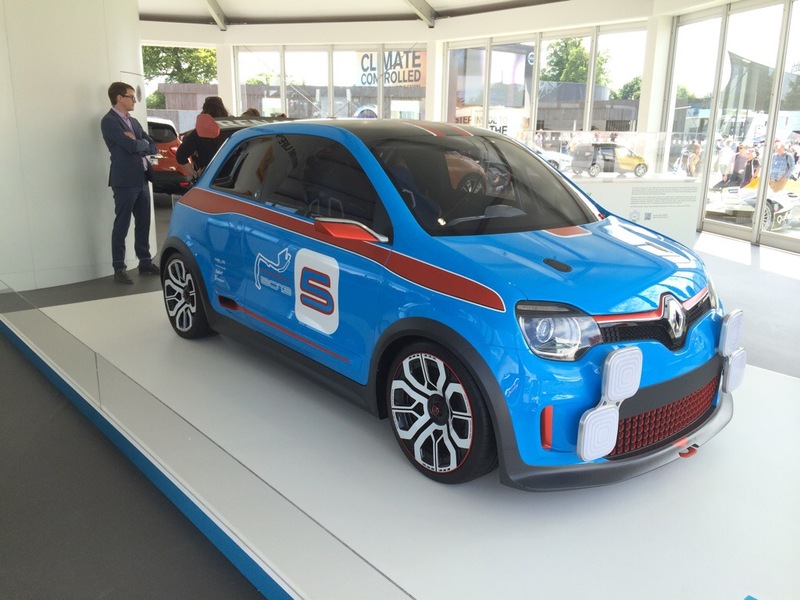 Based on the same platform as the new Smart 4-2 it has a rear mounted 1L turbocharged engine. Hot versions later this year should have 140 bhp making the car a mini 911! 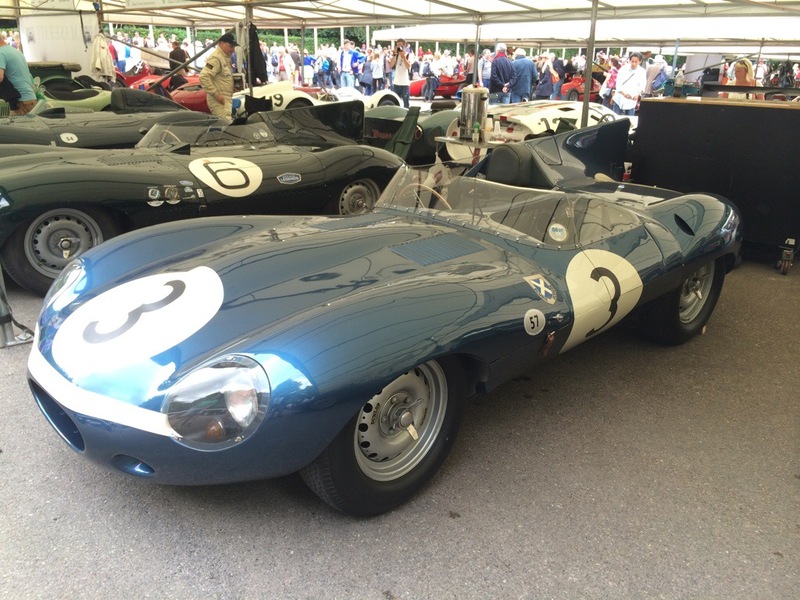 There is always a fine selection of Le Mans sports cars at Goodwood ranging from those from the earliest days of racing to the very latest winning machines. This year’s Le man winning Audi e-Tron. Havings stumbled in the early rounds of this year’s World Sports Car championship they managed to win the race that really mattered. Sound familiar Peugeot? 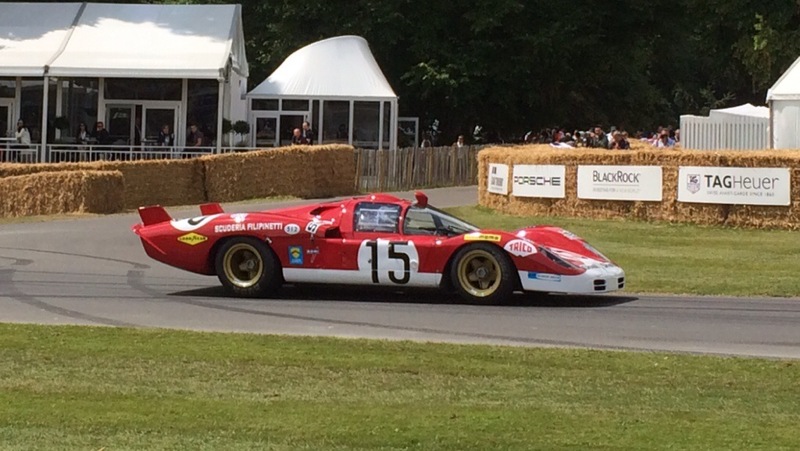 1970 Ferrari 512, just like in the film Le Mans..
Due to restrictions on testing (!) 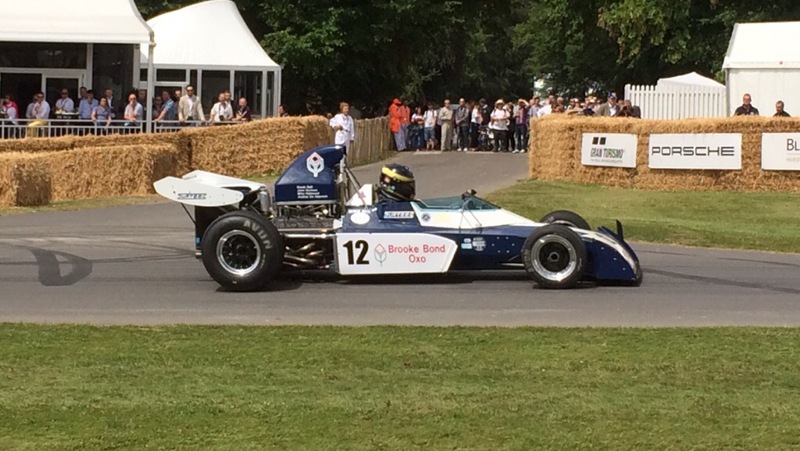 there were no contemporary Formula One cars tackling the hill at Goodwood this year. That did not stop some of the teams bringing cars for static display or bringing cars from previous seasons for their drivers and test drivers to run up the hill. Even then runs were restricted to demonstration performances with plenty of doughnuts and burnouts and very little speed. We had to look to the historic guys for real pace. 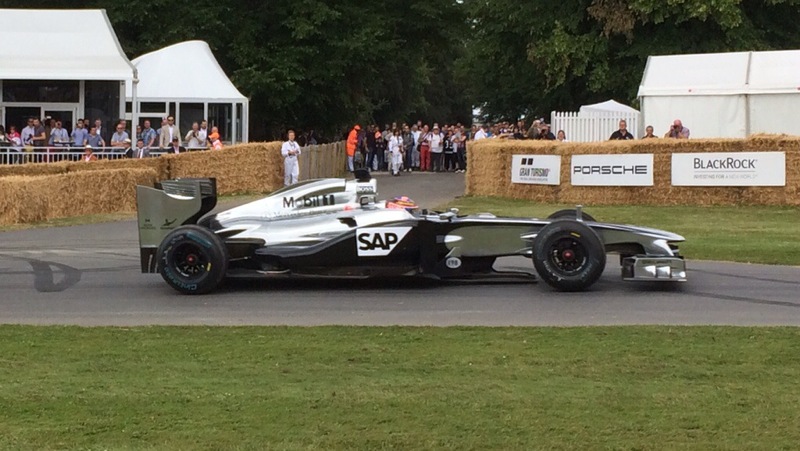 Jenson Button in the McLaren MP4-26 he drove in 2012. Max Smith Hilliard in his 1972 Surtees TS9B. Seconds later he stuffed it into the bales at Molecombe corner. He was unhurt and at least he was trying! 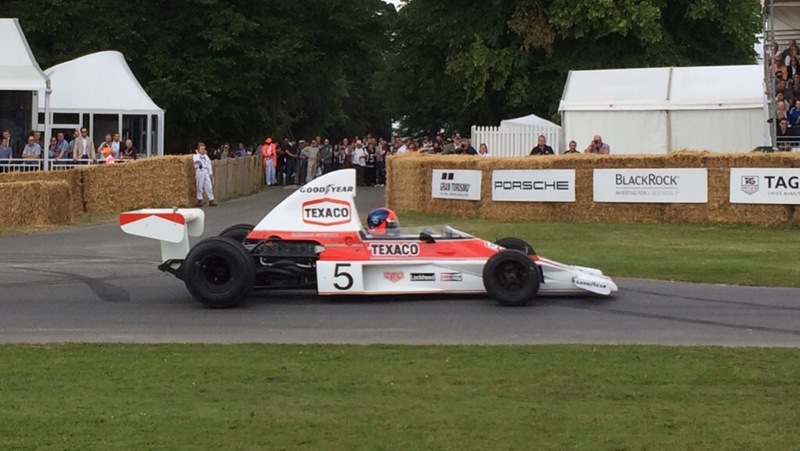 Legendary Brazilian Emerson Fittipaldi driving the McLaren M23 with which he won McLaren’s first world title in 1974. 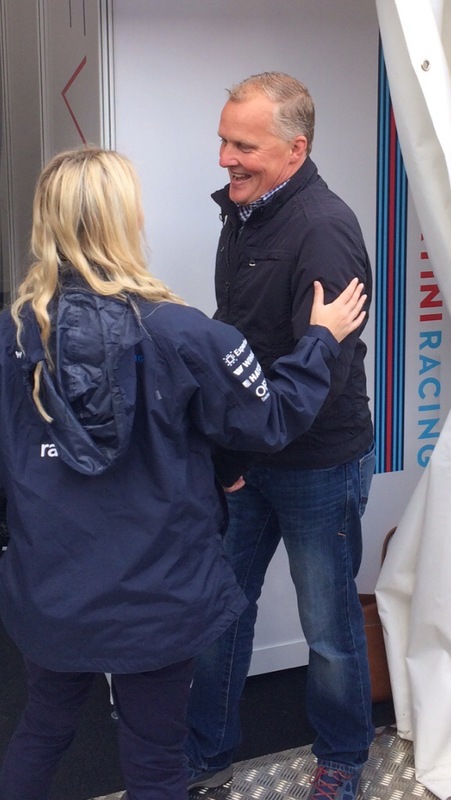 One of the best things about the Festival of speed is the close access to the drivers available for fans. 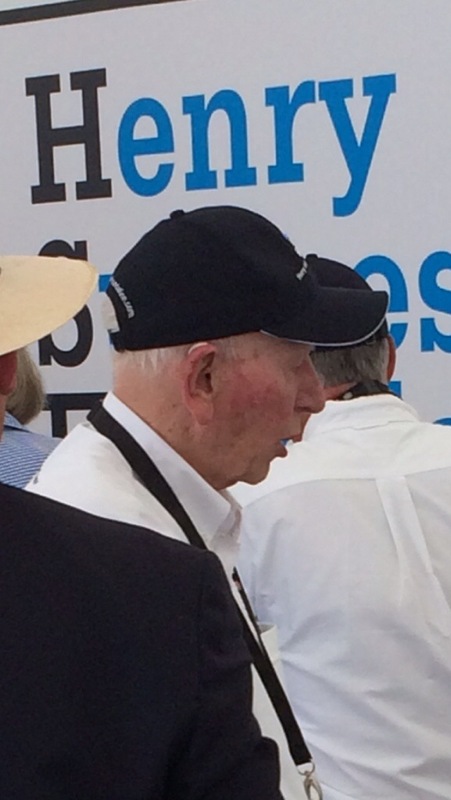 John Surtees was celebrating the 50th anniversary of his world championship with a class of cars and bikes associated with his career in action on the hill all weekend. 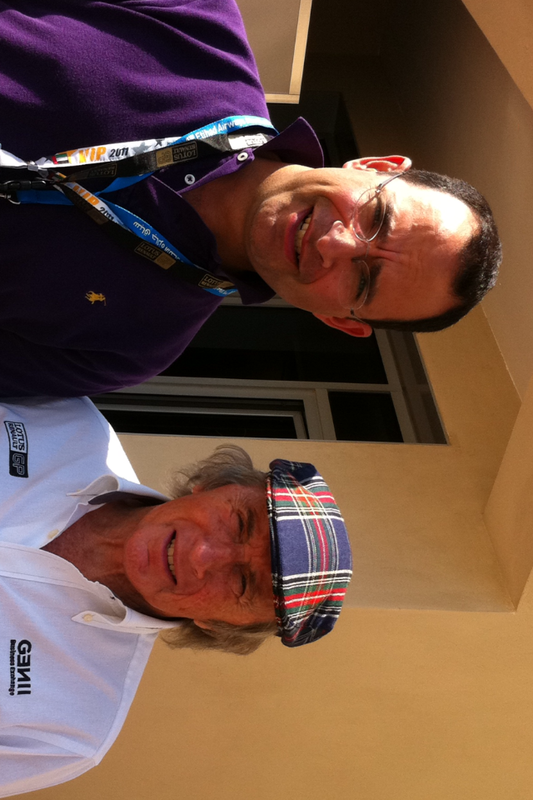 I had a good chat with Andy Wallace about Le Mans in 1988. 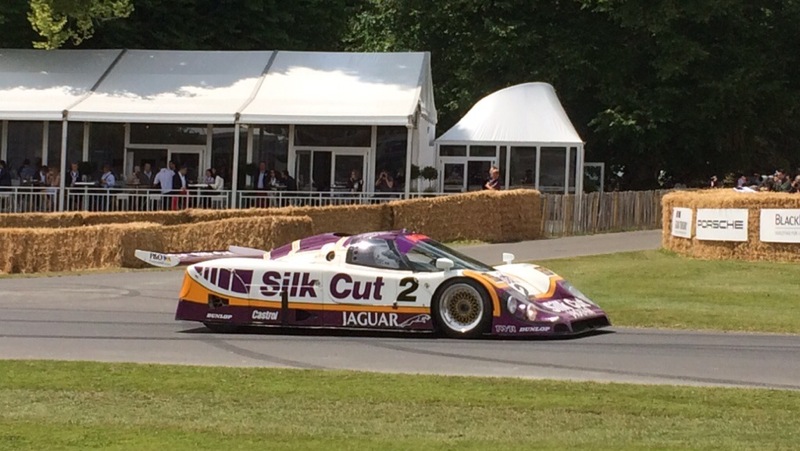 The XJR made 250 mph down the pre chicane Mulsanne Straight. At night he could see so little as the lights were mounted so low that he had to pick out his braking points by calculating distances from land marks as they flashed by. 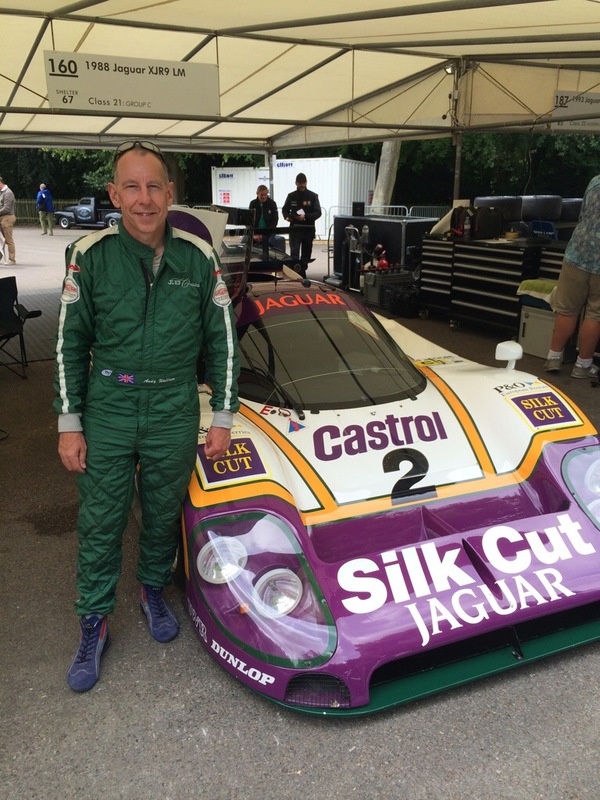 To this day the XJR is the fastest car to have driven at Le mans. Andy has no desire to ever drive that fast again – he said it was something you could only do when young, fearless and lacking in imagination. 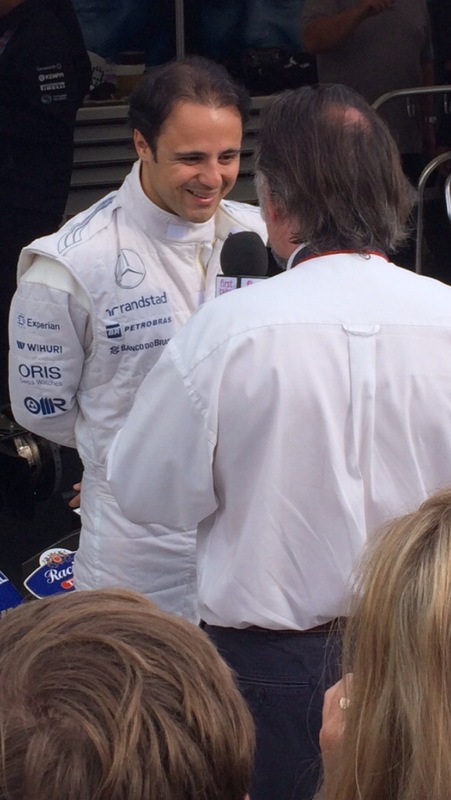 It is commonplace for motorsport commentators to contrast with disdain modern Tilke-dromes, (Abu Dhabi and Korea), with venues with racing heritage such as Silverstone, Monza and Monaco. Certainly there is something about a venue with proper history – spectators may feel it and drivers certainly can. 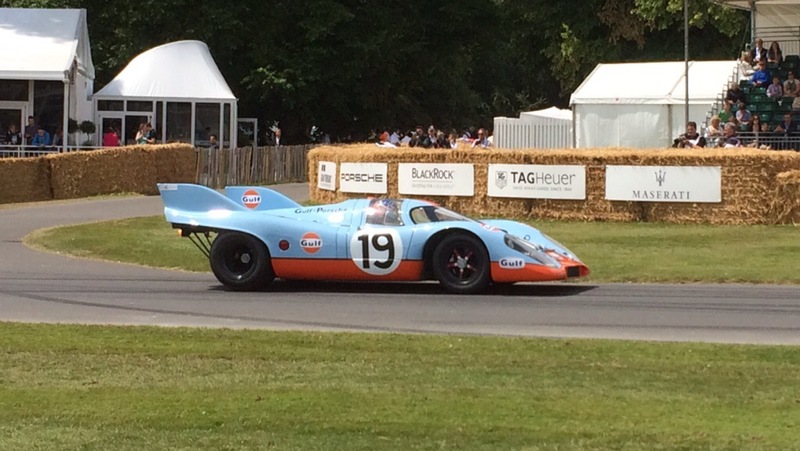 Driving Goodwood or Shelsey Walsh gives me a greater thrill than some modern venues such as Rockingham. Forty years before the chequered flag first fell at Silverstone, Brighton hosted one of the first competitive motor sport events in the the UK – and one of the earliest in the world. The Speed Trials have continued in various forms, World Wars excepted, ever since. But that heritage is now under threat. Following the tragic death of Charlotte Tagg at the event in 2012 (see my blog below) the Green Party run Brighton and Hove City Council has announced that it is reviewing the future of the event. Whilst the Council say they are not motivated by ideology they have made it clear that they are no friends of the motor car. Indeed one of their spokesmen stated that such speed events had no place in “modern Brighton”. I have been competing at Brighton for over 6 years. It is the only time I go to Brighton and when I do (often with my family) I have calculated I spend on average £300. Assuming similar levels of spending by the 150 or so other competitors (bearing in mind that many travelling from further away stay the night), not to mention what is spent by the 3000 or so spectators who come to watch, I would estimate that the event contributes at least £100,000 to the local economy. Given the economic climate that Brighton finds itself in, can the Council really afford to turn away such spending? 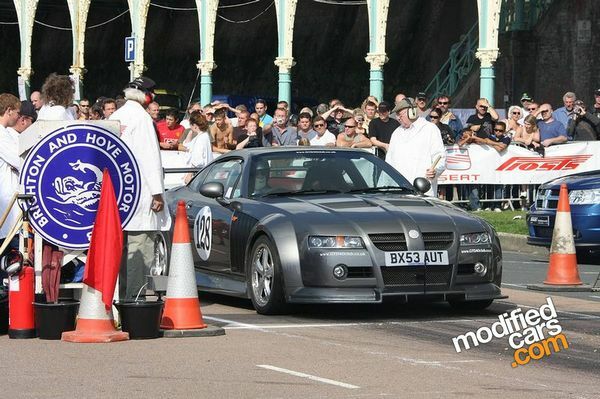 The Brighton and Hove Motor Club, the organisers of the Speed Trials, have started an e petition on the Council’s website urging the Council to support the continuation of the event. Nearly 9000 people have signed. 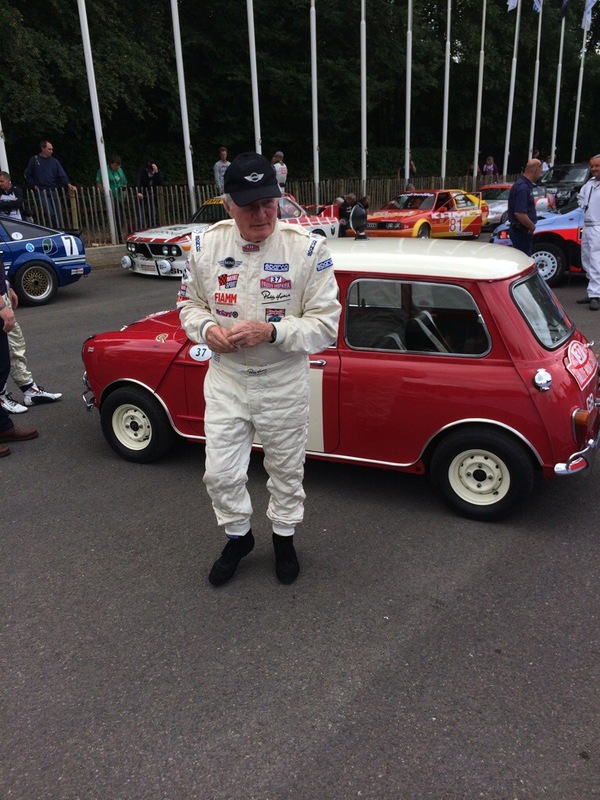 If you are concerned about preserving one of the world’s oldest motorsport events, please add your name to the petition. Gavin arrived this morning from London following a 12 hour bus journey and was not overly pleased to find that tomorrow we start the rally at 8am and finish at Llangollen in North Wales at 4.30 am. It will be a long day – and night. I spent most of the day plotting our first regularities. Relatively straightforward on the map – I expect more tricky on the road in the dark. We have never competed at night so the long night sections will be a challenge. 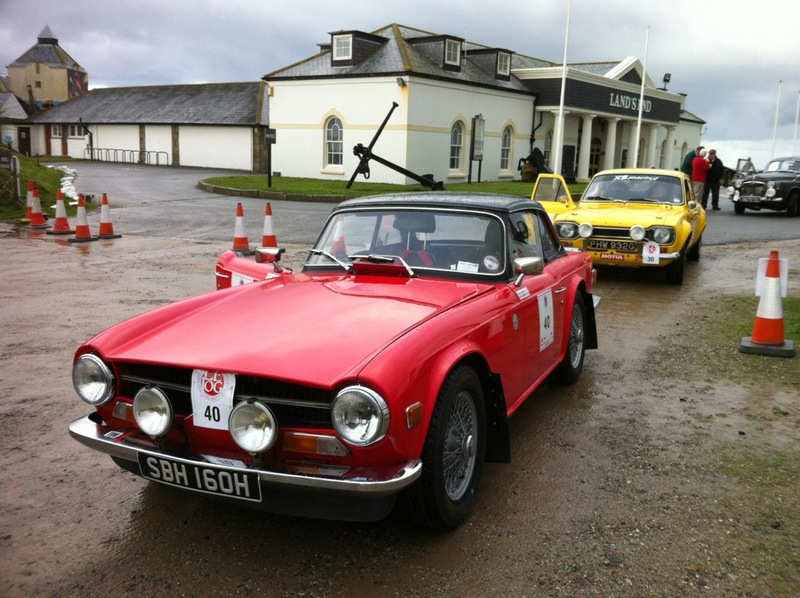 It took a very long time to get the TR6 through scrutineering this morning. And it’s fair to say we are not entirely happy with her. She feels sluggish, has poor oil pressure and makes the sound of a car that’s only firing on some of its cylinders. HERO assure us all is well so we shall see. She also steams up on the drivers side ( inefficient heater) and the fuel pump makes an appalling constant high pitched whine. HERO will change it on Sunday. Hope it lasts till then. Weather forecast is ok though very cold for the night sections through the Welsh mountains and into the North West on Sunday. Frost and black ice may be a real problem. We have just returned from a black tie dinner with the other competitors and are comforted that there are others with even less experience than us! Lots of nervous but excited chatter! 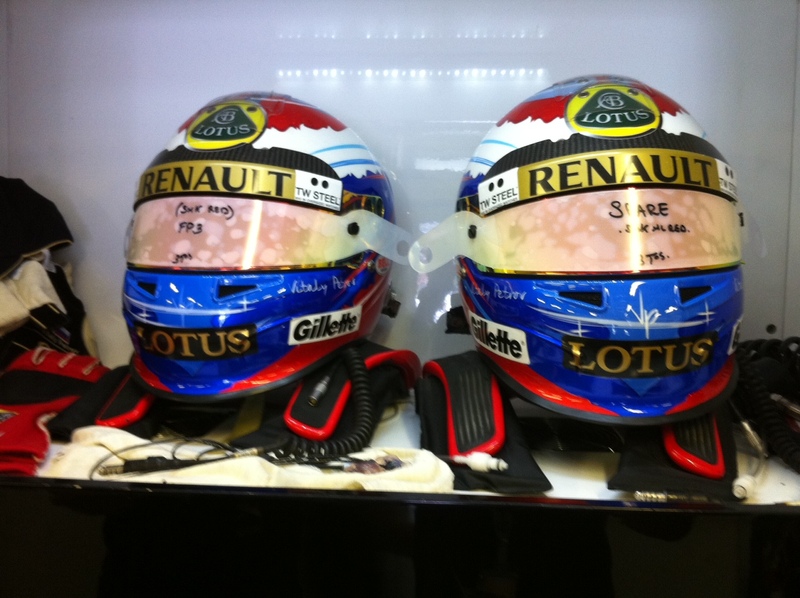 Motorsport safety: more to be done? Reading obituaries of Professor Sid Watkins, who died earlier this month, serves to remind one of how dangerous Formula 1 used to be. Always a dangerous sport it reached an epiphany of carnage in the late sixties and early seventies, as detailed in the excellent documentary “Grand Prix, the killer years” (Bigger Picture Films). Tireless work by Jackie Stewart and others started a gradual improvement in safety that was accelerated by the work of The Prof once he became fully involved with F1 in 1978. Unsafe courses such as the Nurburgring and Spa were significantly shortened and altered and medical facilities were improved tremendously. 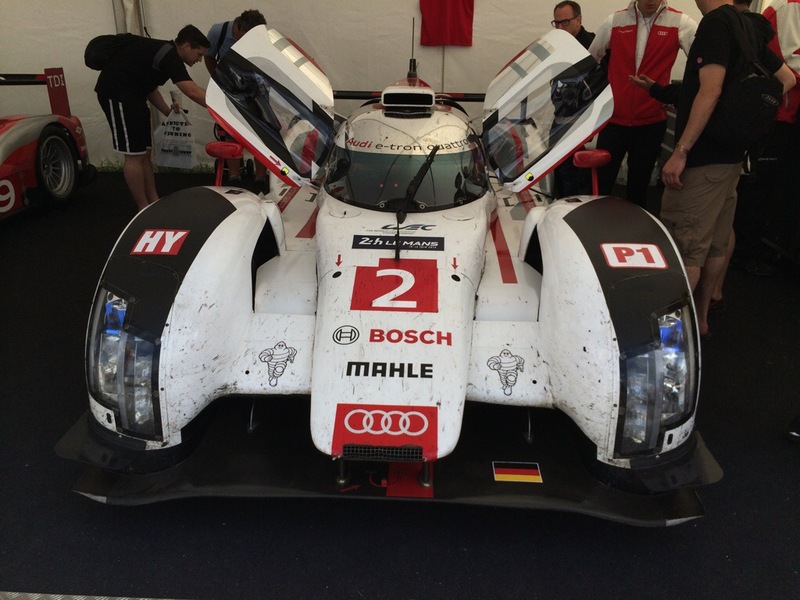 In addition new FIA technical requirements led to the design of safer racing cars. Newer circuits also benefited from much larger run off areas and better barriers. Fatalities continued at a lower level but it is astonishing to note that we have thankfully not lost a F1 driver since Senna’s death at Imola in 1994. I say it is astonishing as people would automatically assume that F1 driving is a more dangerous sport than club level amateur racing. Yet in the eleven years I have been racing I have been at events where three drivers have been killed and four very seriously injured. This is a sobering statistic. Are sprints and hill climbs more dangerous than F1? One argument is that the statistics can be misleading. Two of the fatalities mentioned above were motor cyclists or side car passengers (including the fatality at Brighton a few weeks ago). One only has to see the tally of injuries and death at the TT each year to appreciate that riding motorcycles at speed is inherently dangerous. Or is it? The number of fatalities and injuries in Superbike racing is higher than in F1 but nowhere near the number suffered in the TT. So it’s not bikes per se that are dangerous but something else. The common denominators of all the serious accidents I have seen are firstly very fast vehicles and secondly limited run off. All the fatalities and half the injuries resulted from collisions with walls after loss of control. The remaining injuries were the result of collisions with trees after loss of control. Hill climb courses, sprint courses and old circuits lack the run off areas of modern racing tracks and a mistake or mechanical failure can have terrible consequences. With modern cars and bikes now capable of speeds well in excess of 100 mph the margin of error is very small indeed. All the serious accidents I have seen have been to modern cars and bikes rather than their older classic forebears. The twin pinnacles of the dangerous combination of super fast vehicles and limited run off are the French hill climb championship and the Manx TT races. The death toll in both is staggering but this is hardly surprising with cars and bikes travelling at great speed on narrow roads, often with kerbs and usually surrounded by trees and often precipitous drops. So if these types of event are so inherently dangerous what should be done? Already most events will have first class medical support. Drivers kit and their cars and bikes are checked thoroughly by the scrutineers. What else could be done? Often there is no possibility of making the courses safer. Should racing on the unsafe courses cease? At least for the faster cars and bikes? I would say no. No one goes to a motor race hoping to see a crash but the spectator experience is undoubtedly enhanced if there is an element of danger. 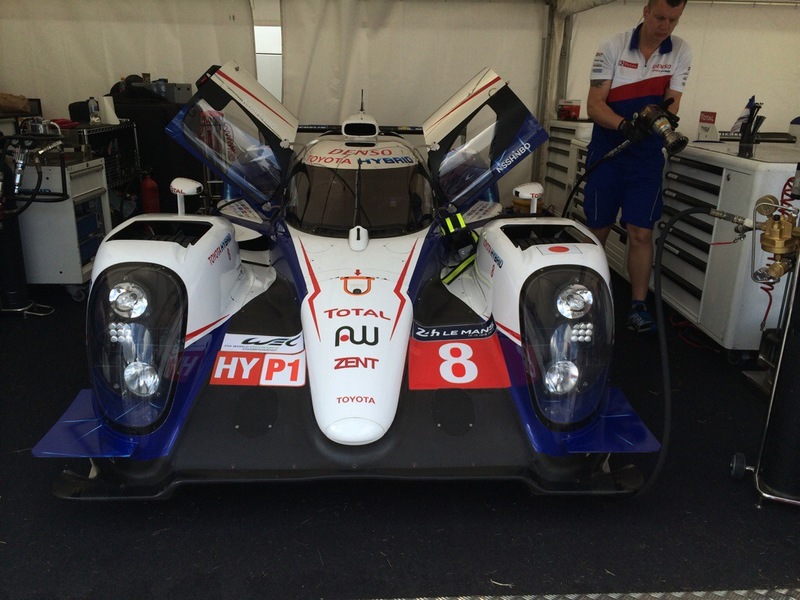 Then you are able to admire not only the skill of the drivers but also their bravery. And as a driver the thrill of going fast and getting your lines right is all the more satisfying if there is an under current of danger. You test yourself more fully than you would in a completely safe environment. F1 is now safer than its ever been. 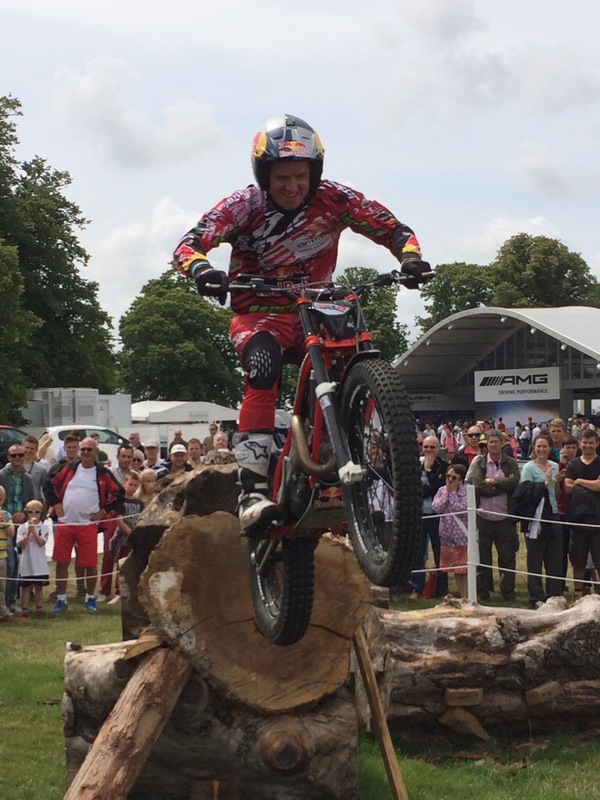 It’s still some spectacle but I suspect I am not the only one who feels something altogether different when I watch CanAm cars thundering down the Lavant Straight at Goodwood wheel to wheel, or Guy Martin flying through Keppel Gate on the TT. And as a driver I would not want to race on only sterile circuits with little history and no danger. If I wanted a fully safe driving experience I would buy a Playstation.